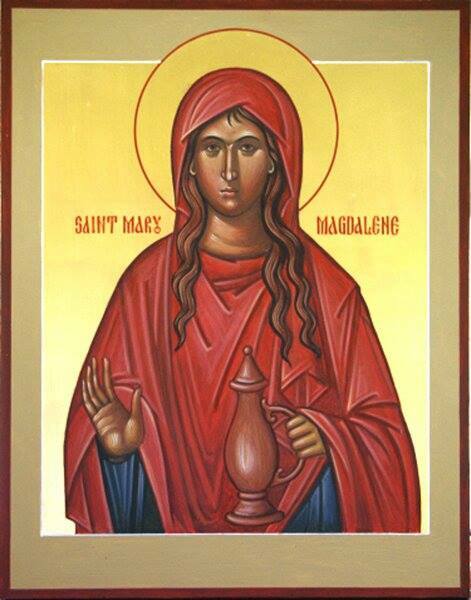 Today, in both the Eastern and Western lungs of the Church, we celebrate the feast of Saint Mary Magdalene. Her name Magdalene derives from the tradition that she hailed from a town in northern Galilee called, Magdala. Along with the Blessed Virgin Mary, St. John the Apostle, and other female relatives, it is revealed in the Sacred Scriptures that St. Mary Magdalene was at the foot of the cross as Jesus was crucified. Although there are quite a few traditions surrounding the life of St. Mary Magdalene, it is believed universally by the West that she was the woman that Jesus Christ drove seven demons from in the Gospel of St. Luke: “And the Twelve were with him, and also some women who had been healed of evil spirits and infirmities: Mary, called Magdalene, from whom seven demons had gone out…” (8:2; see also Mk 16:9). In other traditions, some see St. Mary Magdalene as the sister of Martha and Lazarus. This tradition even has her traveling with her brother, sister, and some of the other disciples of Jesus Christ to Marseilles, France, after they were exiled from their home region by the Jews for believing in Jesus Christ. It is taught in France that she lived in a cave for 30 years, speaking with the angels often until her death. Tradition also teaches that Lazarus became the first bishop of that area. The Eastern Tradition has her traveling to Ephesus with the Blessed Virgin Mary and St. John the Apostle and remaining there for the rest of her life until her death at an old age. The East adheres that her relics were transferred to Constantinople in 886 A.D. So what we can learn from the life of this important saint? First, like St. Mary Magdalene, all Christians are called to wait with faith and trust in God. So many of us want God to work quickly in our lives, we forget that God works at His pace and in His time. We must have faith that He knows exactly what we need despite our own desires. Just as St. Mary Magdalene heard the words of Jesus and trusted that he would rise from the dead, so we must also hear the words of Jesus in the Sacred Scriptures and trust in all that he professes. Second, we must stand outside the tomb seeking Jesus Christ. As Catholic Christians today, we must establish a personal friendship with Jesus Christ. It is great that we know about Jesus Christ and His Church, since they are one and the same, but do we truly have a deep friendship with Him? Do we speak to Jesus on a daily basis? Standing outside the tomb waiting for him always will keep us focused on what truly matters in this life and in the life to come. Third, we must have the ability to repent of our sins and be humble in the face of God. Although St. Mary Magdalene is not the prostitute in the scriptures some have claimed, she at one point must have confessed her sins to Christ, where upon he then forgave her of those sins. To be a follower of Jesus Christ, a intentional disciple, one must confess the wrongs he/she have committed in life and be humble enough to say – “O Lord Jesus Christ, have mercy on me, a sinner.” As Catholics, reception of the Sacrament of Reconciliation is fundamental and should be practiced often. Let Us Pray: O God, you gave St. Mary Magdalene the important duty to tell His apostles and others the news of Easter joy. Through her intercession, may we have the courage to spread the gospel message to all we encounter daily. Saint Mary Magdalene…Pray for Us. 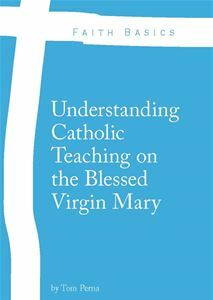 This blog post is dedicated to the clergy, staff, and parishioners of St. Mary Magdalene Catholic Church in Gilbert, AZ. I always value your posts and this one on Mary Magdalene was particularly striking. I relish the digging you do to recount the Traditions which, of course, help to fill out the complete picture of this saintly woman. Well done, Tom and thanks.